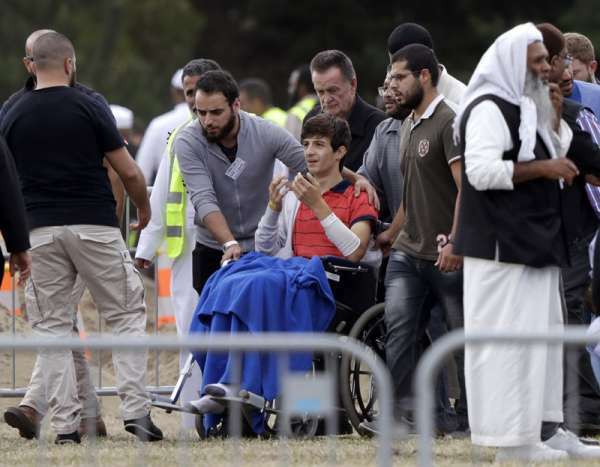 CHRISTCHURCH, New Zealand-- A father and son who fled the civil war in Syria for "the safest country in the world" were buried before hundreds of mourners Wednesday, the first funerals for victims of shootings at two mosques in New Zealand that horrified a nation known for being welcoming and diverse. Bush said they believe they know where the gunman was going for a third attack when officers rammed his car off the road but won't say more because it's an active investigation. Bush also revised his timeline, saying officers rammed the suspect 21 minutes after the first emergency call rather than 36 minutes. Bush said FBI agents have traveled to New Zealand to help with the investigation.